The 20V Switchdriver holds multiple bit pairings so you get your work done twice as fast, with half the hassle. No more fumbling around for loose bits. Just give the head a quick twist and switch from drilling to driving in an instant. And since the Switchdriver is part of the 20V Power Share platform, you can share batteries with other 20V WORX tools you already own, saving time and money. Drill like a pro thanks to the 2-speed gearing that delivers the speed and power you need to tackle any project with ease. The two 1/4" chucks rotate 180° clockwise or counterclockwise with a push of a button, so you can switch from drilling to driving in an instant. The compact and lightweight Switchdriver is equipped with electronic torque control which prevents your screws from stripping and eliminates any potential damage to your work surface or materials. The Switchdriver&apos;s two ¼" chucks rotate clockwise and counterclockwise 180° with the push of a button so you can move through projects quickly — no need to swap out tools mid-job. Select the drill and driver bits you need for your specific task and have them loaded and ready to go — no fumbling around for loose bits. Electronic torque control helps you manage force to eliminate stripped screws and limit potential damage to your work surface and materials. Our powerful, efficient 20V MAX battery powers the Switchdriver and the entire Power Share platform of yard and power tools. The 20V Switchdriver lets you power through projects without stopping to grab another tool or even fumbling with loose bits. Just drill your hole, switch chucks with the push of a button, and drive your screw. Keep it moving! At just over 3 lbs., the 20V Switchdriver is compact and lightweight for better control and less fatigue while working. The rotating dual chucks make switching between bits faster and smoother than ever. The Switchdriver’s electronic torque control helps eliminate stripped screws and limits potential damage to your work surface and materials. Deliver clean holes and ample driving power every time. HANDLES ANY JOB, NO PROB! The Switchdriver is powered by a 20V MaxLithium battery and features variable 2-speed gearing to tackle all common drilling and driving applications. Dial up the power you need for the task at hand. 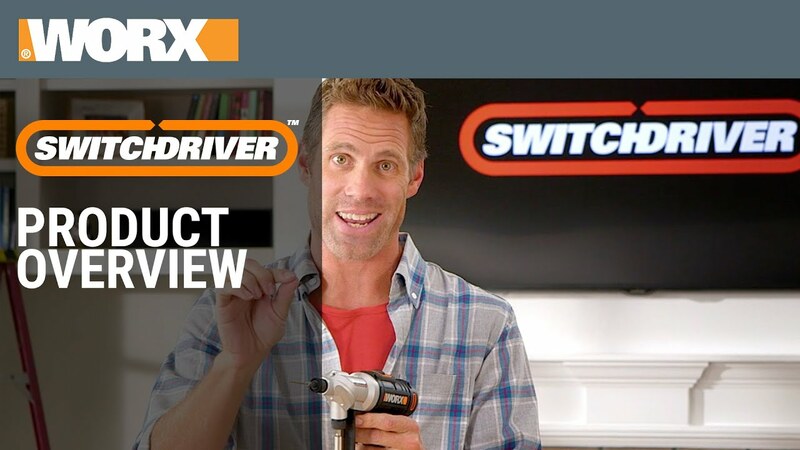 The WORX Switchdriver is surprisingly lightweight for the power and torque it delivers. At only 2 lbs before installing the battery, it's the perfect tool for everyone from the at home DIY’er to the contractor who takes it to every job site. 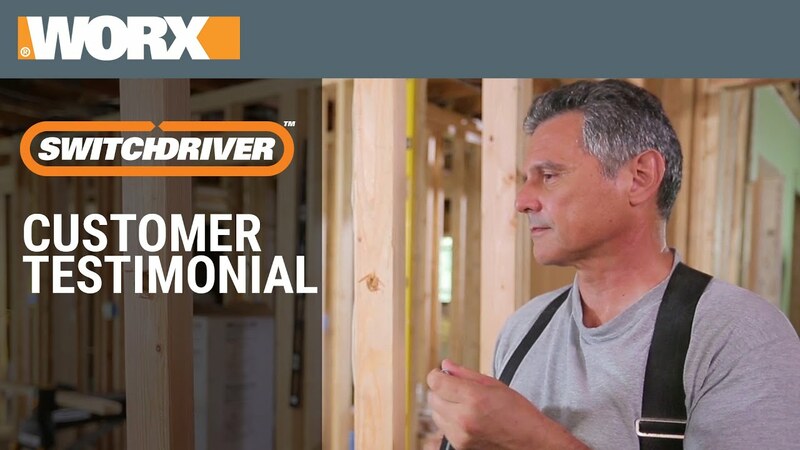 You can download the manual here, check out the video below, or our friendly customer service team will be glad to answer any questions you may have at 1-866-354-9679 (WORX). You can also watch our Product Overview video on YouTube. 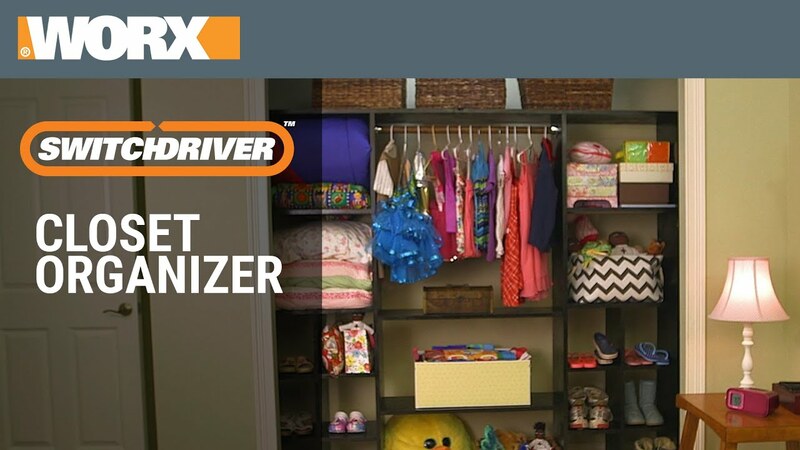 In “The Fixer” column in The Wall Street Journal names the WORX SD as “a great tool” for furniture assembly. 20V Switchdriver Cordless Drill & Driver - Tool Only is rated 4.7 out of 5 by 193. Rated 5 out of 5 by Carol80 from Great For All Adult Ages I am 80 years young Grandmother. A dear friend gave me a 20V Switchdriver for Christmas...I still do many of my own repairs/renovations and having this truly great, easy to use, tool has made my many projects so much easier! I have a few other Worx tools and the quality is excellent!!! Rated 5 out of 5 by Docbrowne from Interesting/Great Concept I finally ordered one since I already had five other WORX tools. I ordered the drill by itself since I had the 20v batteries. Haven’t had the chance to use it for real but have been playing with it. Now you can drill pilot holes then use screws without having to change bits. You would think someone would have thought of this before. The only caution that’s not explained well is the fact that you can’t use regular drill bits. They must have a hexagon shaft in order to work. You can buy these sets everywhere so not a huge deal. Rated 5 out of 5 by Golfmaster5563 from Great features I brought this a month ago for my husband. He loves it. He has done a few honey dew chores already with it. I even tested it out. It’s light, not heavy like his old drill. Great tool. Love it. Rated 5 out of 5 by Vicki 22 from Easy to use! I use this all the time, makes a project go much faster!